There was another reason to resent the Duchess: she brought with her her daughter, Lady Catherine Osborne. ‘Her girl is in the house,’ wrote Charlotte angrily, describing her as ‘stif, no companion to me’, and besides, she was only fourteen. She danced well, conceded the Princess, and they danced together, but there would be no question, on Charlotte’s side, of friendship. The Prince Regent did not always mean what he said, but Princess Charlotte knew all too well that he had been serious when he said that. For her, marriage was the price of freedom. If that was not enough of an incentive to marry the first man who asked her, the regime of the Duchess of Leeds was another. It was not that the Duchess was in any way strict. On the contrary, she was easy-going and avoided every kind of conflict. She concurred with ‘the Great UP’ at every opportunity. When Charlotte was in London, she only came to Warwick House between 2 and 5 p.m., which gave the Princess the evenings to herself. But she was a boring, graceless, self-important hypochondriac. She was forever telling ‘stories of an hour’s length’ and taking cold showers to wash away her latest ailment. Worst of all, in Charlotte’s eyes, she was ‘a violent Tory‘. The daughter of the Accountant-General to the Court of Chancery, the Duchess had won her Duke’s heart on the basis of her beauty alone, and her exalted new rank had gone to her head. 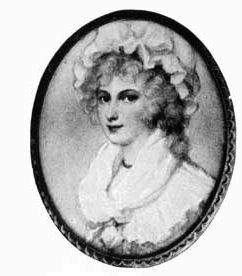 To Charlotte’s embarrassment, she often ‘overacted’ her part and was patronising with people whom she regarded as inferiors. Even so, the Duchess’s ‘disagreeable’ company might have been worth suffering if her easy-going nature had allowed Charlotte to meet and correspond with anyone she pleased. But protecting the Princess from undesirable influences was the one duty that she tried to take seriously. She was always, as Charlotte put it, ‘keeping close’ to her in public, and, with an air of innocence, the Duchess introduced her fifteen-year-old daughter, Lady Catherine Osborne, into Charlotte’s household. Things were not as bad as they could have been, however. The tedious Duchess and her prying daughter were effectively thwarted by the conspiratorial loyalty of Miss Cornelia Knight.